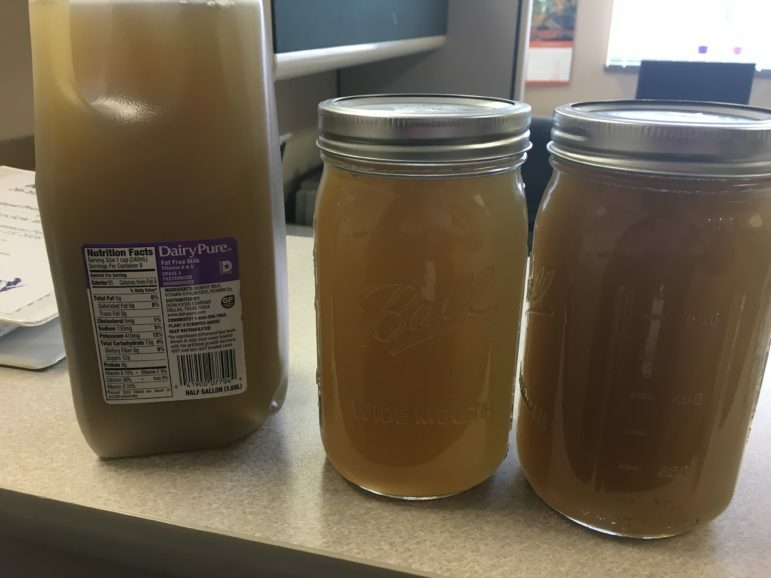 These jars contain brown water taken from a tap in Kewaunee County. Photo courtesy of Kewaunee County Land and Water Conservation Department. A survey of private wells in southwestern Wisconsin found almost half had unsafe contamination levels. Researchers randomly selected 301 wells for testing in Iowa, Grant and Lafayette countries in November. Forty-two percent of the wells exceeded standards for bacteria or nitrate, a compound linked to a variety of health problems. Katie Abbott, Iowa County conservationist, said 34 percent tested positive for coliform bacteria. Four percent of the wells had E. coli, a bacteria that can cause illness. Sixteen percent of the wells had nitrate levels above the state standard of 10 parts per million. The sampling is part of a two-year study on groundwater quality commissioned by the three counties, called the Southwest Wisconsin Groundwater and Geology study — or SWIGG. Ken Bradbury, state geologist and a principal investigator on the study, said there are more than 10,800 private wells in the region. “It’s probably the largest synoptic, which means all taken at the same time, water quality sample that’s ever been done in those three counties,” Bradbury said. The research team sent landowners instructions and equipment to collect the samples, which were analyzed in a lab at the University of Wisconsin-Stevens Point. “Actually my own house was one that was by chance randomly selected. So I was able to do it and experience the well testing myself and the instructions were easy to do,” Abbot said. She said her well tested positive for coliform bacteria, so she plans to get a second test to confirm the results. If the presence of the bacteria is confirmed, Abbott said residents should stop drinking their water until they can have their well disinfected. Bradbury said the results of the survey weren’t surprising. He said previous sampling indicated similar trends in bacteria and nitrate levels and the region’s soil and bedrock makes the groundwater susceptible to contamination. The region’s geology is similar to northeastern counties like Kewaunee County, which has seen increased concern and regulation around groundwater contamination in recent years. But Abbott said there are also important differences between the two regions. The SWIGG study will use the water quality data to identify the likely factors of contamination. Another round of well sampling will take place in the spring. 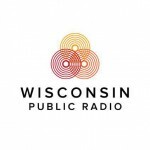 Listen to WPR report here. Survey Finds Almost Half Of Private Wells Tested In Southwest Wisconsin Are Contaminated was originally published by Wisconsin Public Radio.